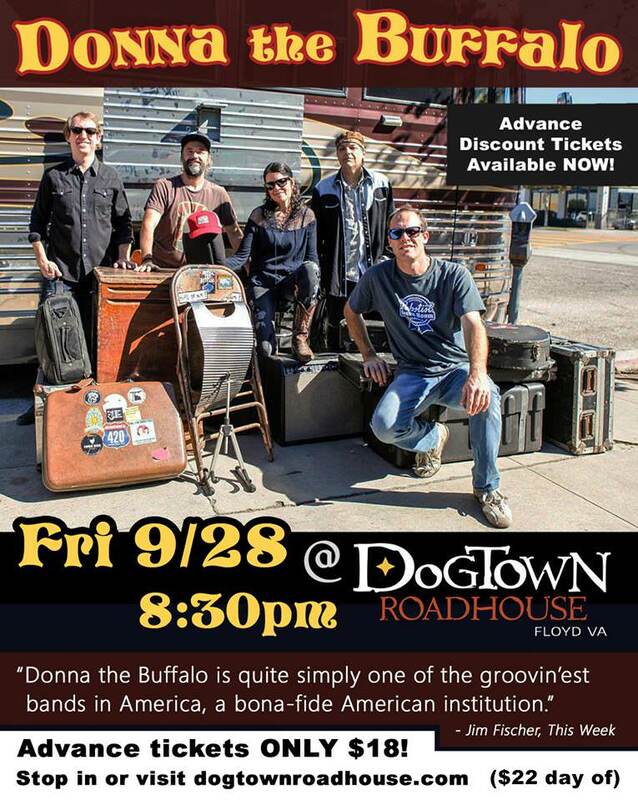 Dogtown Roadhouse presents Donna the Buffalo in concert on Friday, September 28, 2018. One of the most dynamic and determined bands continuously touring America for since 1989, Donna the Buffalo has created a community environment at their shows through their distinctive, groove-heavy, and danceable music. Donna the Buffalo is a band for the people that is accessible, positive, and memorable. With roots in old time fiddle music that evolved into a soulful electric American mix infused with elements of cajun/ zydeco, rock, folk, reggae, and country, Donna’s music often contains social and moral responsibility as core beliefs, and they are just simply fun to get out and celebrate life with. Tickets are $18.00 in advance and $22.00 the day of the show. To purchase tickets online, visit: https://www.townvu.com/dogtownroadhouse/ordering. To view the event flyer, visit: https://i.imgur.com/2AGR728.jpg. For more information, visit: http://www.dogtownroadhouse.com/ or https://www.facebook.com/DogtownRoadhouse or https://www.facebook.com/events/1974507149235793/ or call 540-745-6836.